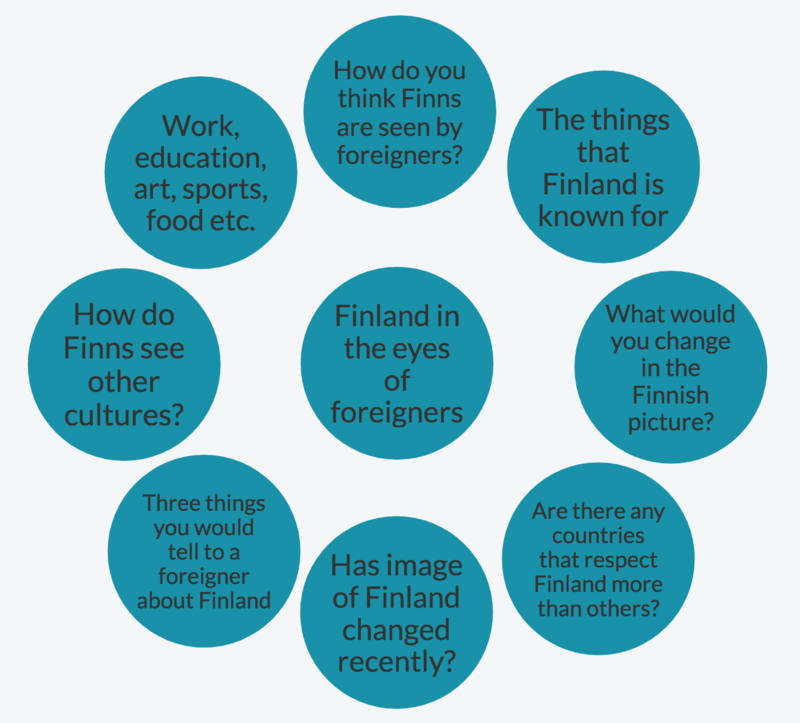 1 F21: Mm how do you think Finns are seen by foreigners? 8 M18: //and// alcoholi- al- alcoholism in stereotypes. 22 M18: Yeah yeah Moomins yeah... ehm... what would you change in the Finnish picture? 31 F21: Are there any countries that respect Finland more than others? 46 M18: //[laugh] yeah// [laugh] yeah... erm... are there any coun- eh eh er no er has image of Finland changed recently? 82 F21: //[laugh] yeah [laugh]// er how do Finns see other cultures? 95 F21: Er work, education, arts, sports, food... etc.